View all current homes for sale in Jupiter Lakes Villas, Jupiter, Florida. Click on a listing to the view property details, photos and maps. If you would like to change or expand your search criteria, go back to the Jupiter search page, or try using our Advanced Search. Great investment opportunity. 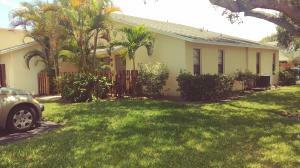 Very desirable area in Jupiter, just a few minutes to beaches, shopping, medical, I-95 & turnpike....everything! Freshly painted interior, newer baths, ceiling fans. Unit has own washer/dryer, updated appliances, and private back patio. Currently leased from 10/2018 to 9/2019..... investment pays for itself!